Watch as Todd Standing and Les Stroud explore remote regions of Alberta, Canada in search of Sasquatch on this episode of Survivorman Bigfoot. Why have thy gone only seen two??????? Knew they would remove it, typical! Stroud's reputation has taken a fatal hit by teaming up with Fraud Standing. You can't believe anything he says or does now. Stroud's rep is strong. Standing's issues has no effects on Les's rep only to those who want to bash anyone who has something to do with Todd. Les is doing his own research and is a honest man. Freedom of speech is vital to people but some folks comments are better left for the trash. You obviously don't know him.except what you read. Every Bigfoot researcher is considered to be a fraud. What if you really saw something and no one believed you. I usually like Strouds program but he's jumped the shark with this ! Have watched a few Survivorman shows now, not a big fan of tv shows though. 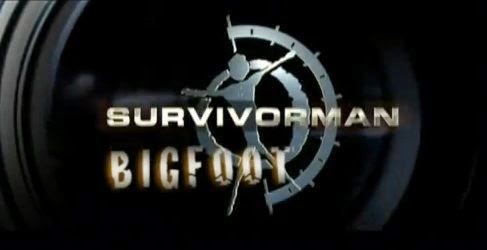 Recently saw the Bigfoot show, what a joke. What did you quote Les? Some genetic material found somewhere was similiar to humans by 95%? Chimps share between 95 and 99% of genes with humans depending on the mapping and material. Somewhere else you quote something about urban myths holding some fundamental truth about something..... urban myths are reflections of urban fears, not truth. Get back to getting yourself some credibility man, that will help your ratings!